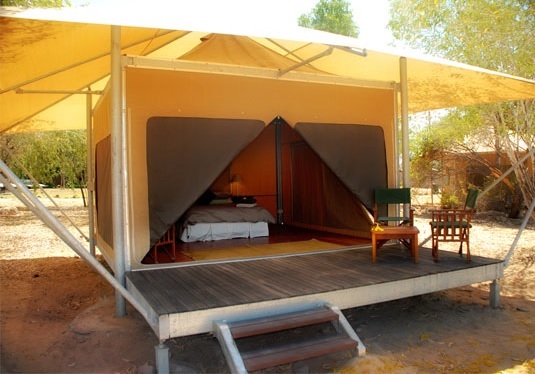 9 Day Guided Package " Kimberley Adventure - El Questro, Gorges & Purnululu"
Day 1: Broome, Derby, Gibb River Road, Tunnel Creek, Windjana Gorge. Day 2. Bell Gorge, Hiking and Swimming. Day 3. Galvans Gorge, Home Valley. Today, travel through the heart of Kimberley cattle country to discover some of the region's most beautiful and most secluded gorges. At Galvans Gorge, a short walk leads to a picturesque waterhole where you can inspect the rock art on the gorge walls and perhaps take a leisurely swim in the refreshing waters. Afterwards, rejoin the Gibb River Road and ford the mighty Durack River, which was named after the region's most famous pioneering family. Arrive at Home Valley Station and saviour a glass of champagne as the sun sets. Day 4. Home Valley Station, Emma Gorge. Enjoy a fasinating tour of Home Valley Station before fording the Pentecost River into El Questro. Take an optional hike to Emma Gorge and indulge in a refreshing swim beneath the waterfall. On your return delight in a wonderful dinner at your picturesque resort. Day 5. Ord River, Kununurra. Join a guided cruise to Lake Argyle and view the ruggedly dramatic landscape of the Ord River. Admire breathtaking scenery, fascinating birdlife and the lurking crocodiles of this timeless land. Day 6. World Heritage Purnululu (Bungle Bungle) National Park, Echidna Chasm. Farewell El Questro this morning and journey to Purnululu National Park, one of Australia's most fascinating landmarks. World Heritage-listed in 2003, the national park is home to the famed black and orange striped domes of the Bungle Bungle Range. The range rises up to 578 metres above sea level and stands above a woodland and grass covered plain, with steep cliffs on the western plain. Formed by constant erosion and river movements over 20 million years, the Range has both geological and Indigenous cultural significance. It's an imposing sight; and one that you are sure to remember forever. During your time here, you'll marvel at the domes from afar, then step inside the range to discover the hidden world of gorges, pools and incredible fauna that exists inside. As the sun begins to set over the range, enjoy a complimentary drink and savour a truly magnificent sight. Day 7. Cathedral Gorge, Beehive Domes. Today you will discover the magic of Purnululu for yourself, and learn that it's not just the Bungle Bungle Range that this incredible region is famous for. Join a gentle hike along a Livistona palm-fringed trail - regarded as one of the best in Australia - into Echidna Chasm, a spectacular cleft in the rock massif. From here, continue on to Piccaninny Creek, a winding gorge within the high walls of the Bungle Bungle domes. Y our next stop is the natural amphitheatre of Cathedral Gorge, a spacious cavern rising high into the sky where you can test your vocal chords. As you wander through, marvel at the beehive domes while your guide brings the natural history of the range to life. Learn about bushtucker, bush medicine and the area's significance to local Aboriginals. Day 9. Geikie Gorge Cruise, Broome. If you are contacting us via phone, email or through a travel agent please let us know which accommodation you would like to prebook. If you are booking online we liase with you as part of the confirmation process and will capture your request then.